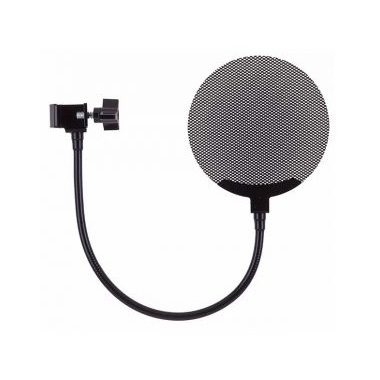 Finally, a pop filter that doesn’t filter your sound along with the pops. 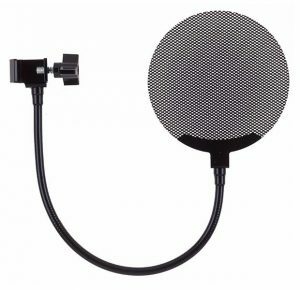 Look through a Royer PS-101 pop filter and you will see the mic clearly. The secret is the special louvered metal that deflects wind downwards while letting sound go directly through. The PS-101 will last for many years (try that with your nylon! 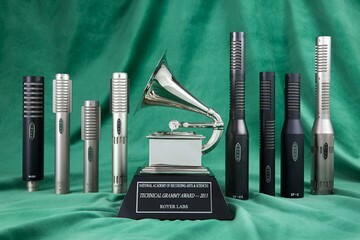 ), it can be cleaned with soap and water, and it looks good too!